Stampin’ Up! 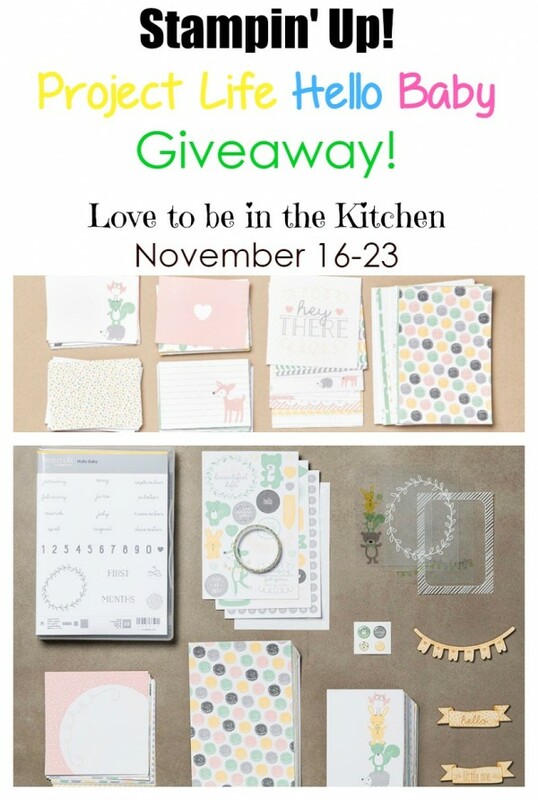 Project Life Hello Baby Bundle Giveaway! Win supplies to make your own scrapbook for a baby girl or boy! Perfect for a baby shower gift too! There is nothing quite as special as a baby’s first year! My sweet baby Carina is 8 months now and I am amazed at how fast she is growing and doing new things! (Even though she’s my 3rd baby.) It’s so important to document all the important milestones and cute pictures from the first year. I was so excited when I received my Stampin’ Up! Project Life Hello Baby Girl bundle in the mail! I am not usually the best at scrapbooking or documenting as many details from my kids life as I would like. So when I was checking out everything in this bundle I was so excited how easy it would be to put it together! The hardest part is just choosing which pictures to include. My favorite part of the bundle is the project life kit. It comes with different sized designer paper with cute patterns, words and colors. I also like the stamp set to customize more details like dates. I am planning on continuing to finish this book for Carina in the next couple of months and by her 1st birthday in March. (We will be moving in a few weeks so life is busy!) I put a couple pages together already and am so excited by how cute it is and especially happy with how easy it was to make something so special. These are memories that will last forever! Stampin’ Up! also offers Project Life Hello Baby Boy. The Stampin’ Up! Project Life Hello Baby Girl/Boy Bundle includes so much! It bundles 3 different items so when you purchase it you save 15%! 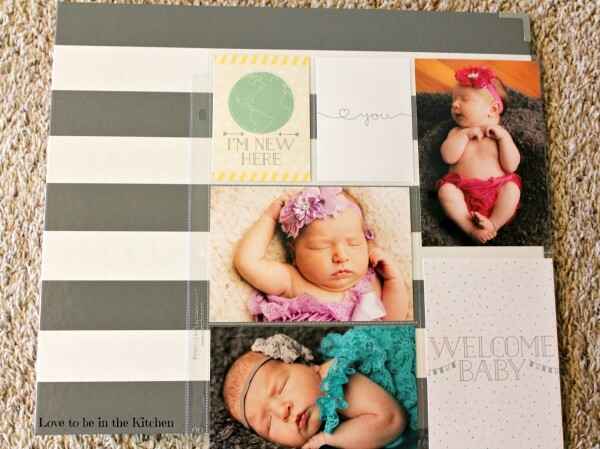 Say hello to baby and start documenting those all-important milestones! Includes months and dates to make it super simple. Celebrate the arrival of your special little sweetheart with these baby-girl (or) boy-themed cards. 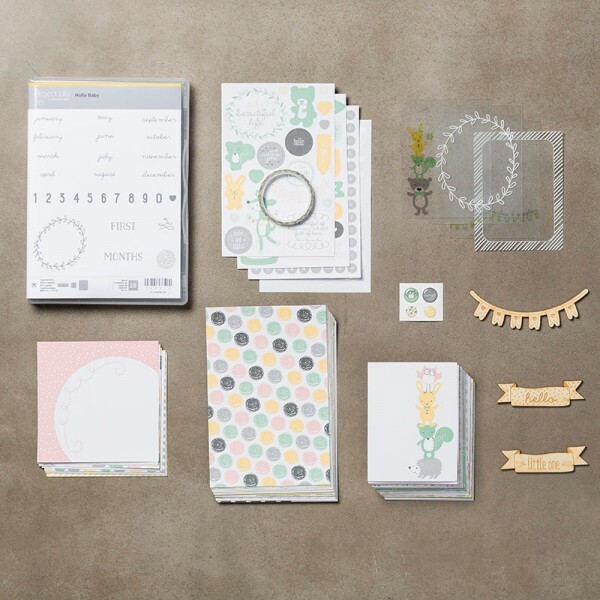 Memory keeping is super simple and super beautiful with Project Life card collections. Just slip these designed cards into Photo Pocket Pages for instant color, design, and journaling space. * 1 roll washi tape, 5 yds. 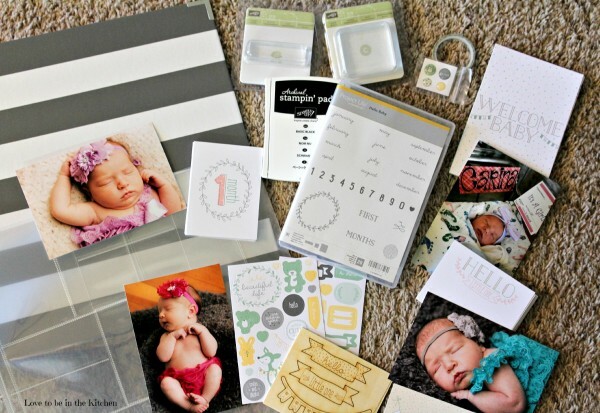 How amazing is the Project Life Hello Baby bundle kit?! Pretty amazing! Would you want one for yourself or for a gift? Boy or girl? Let me know! One lucky reader will win your own Stampin’ Up! Project Life Hello Baby Boy or Girl Bundle! Simply fill out the Rafflecopter below. Open to US Residents only. Must be 18 years or older. I have a grandson coming in dec and grand daughter coming in jan I would love to win this!